The United States has more than 140,000 railroad highway crossings. Many of them are unprotected and provide inadequate warnings to drivers. Not surprisingly, when a train collides with a motor vehicle the train wins. Protecting the rights of crossing victims injured because of railroad carelessness requires a thorough familiarity with railroad operations, human factors and a complex set of laws that apply in these cases. For example, did you know that, like commercial airliners, railroad locomotives carry a “black box”? By law, railroads must equip most locomotives with electronic recording devices that permanently record a variety of information important to a thorough investigation. This information includes train speed, direction, braking operations and horn signals. You may also be surprised to learn that train signals such as crossing gates and bells are controlled by automatic systems centrally monitored in railroad dispatch centers where vital clues to an accident are frequently found. Obtaining this information, interpreting it and using it to obtain justice for injured victims requires experience. For over fifty years The Moody Law Firm, Inc. has specialized in railroad cases. As a result, we know the questions to ask and the evidence to seek. 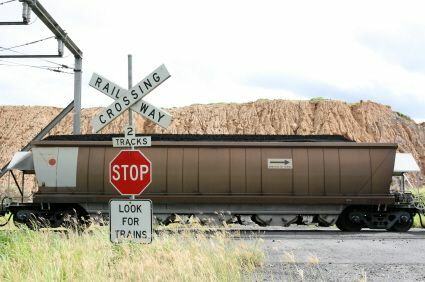 We’ve successfully represented victims of grade crossing accidents for decades and can help you.